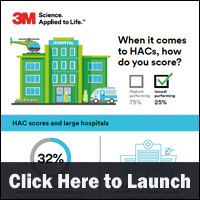 In 2018, an estimated 32 percent of large U.S. hospitals will occupy the lowest performing quartile for hospital acquired conditions (HACs), according to a new infographic by 3M. 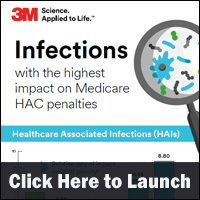 The infographic examines how HACs impact a hospital’s bottom line and how to stay out of the bottom quartile. With an increasing percentage of at-risk healthcare payments, the Allina Health System’s Minneapolis Heart Institute began to drill down on the reasons for clinical variations among its cardiovascular patients. 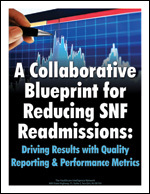 The Heart Institute’s Center for Healthcare Delivery Innovation, charged with analyzing and reducing unnecessary clinical variation, has saved over $155 million by reducing this unnecessary clinical variation through its predictive analytics programs. During Predictive Healthcare Analytics: Four Pillars for Success, a 45-minute webinar, available on-demand, Pam Rush, cardiovascular clinical service line program director at Allina Health, and Dr. Steven Bradley, cardiologist, Minneapolis Heart Institute (MHI) and associate director, MHI Healthcare Delivery Innovation Center, shared their organization’s four pillars of predictive analytics success…addressing population health issues, reducing clinical variation, testing new processes and leveraging an enterprise data warehouse. Click here for more information. The recession hasn’t impacted high medical cost burdens for a majority of Americans, according to a recent study from the Center for Studying Health System Change (HSC). Nearly one in five families spent at least 10 percent of their pre-tax family income on out-of-pocket health insurance premiums and medical care in 2009, roughly the same as 2006 despite widespread job losses, more uninsured, and declining incomes during the recession. Researchers attributed decreasing family income among the reasons for the lack of change. CMS financial penalties haven’t impacted the rate of hospital-acquired infections (HAIs), according to a report from the Harvard Pilgrim Health Care Institute. The study included data on 398 hospitals from 41 states and found no evidence that 2008 CMS policies reducing Medicare payments to hospitals for HAIs had a positive impact. 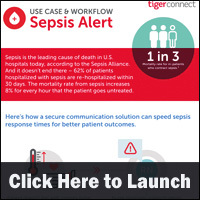 Instead, the study found that infection rates declined steadily throughout this period independent of penalties. Among the reasons cited in the report was the size of the financial incentives – they were very small and failed to spark reform. Population health management strategies could have an impact on patient care, and healthcare costs, but physician practices need to put readiness plans together. Chief among the challenges to implementation are increased administrative burdens, cost, and time, but researchers stress that the short-term disruptions to patient care are worth the longer term benefits. What might have an impact on our offices here on the Jersey coast is Hurricane Sandy, set to land right around the time this newsletter goes to press. So we’re in readiness mode, hoping that a boardwalk clogged with sand will be the only short-term disruption from the storm, but well worth the ocean viewing afterward.